Julia and Natan could not have asked for a more perfect clear and sun-filled day for their wedding. 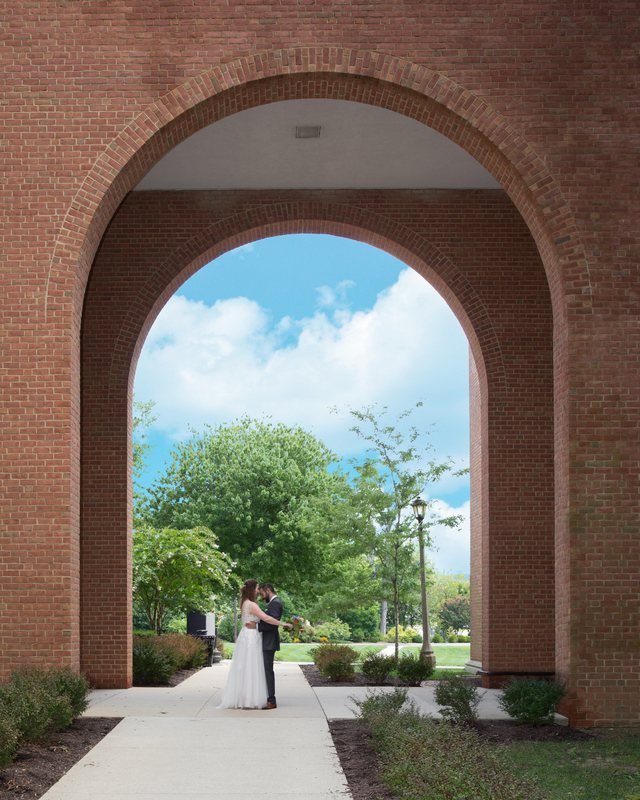 Both the wedding ceremony and reception took place at the Marriott hotel located on the University of Maryland campus in College Park, Maryland. The couple were so nice. As their wedding photographer, I discussed the entire day of events and how I wanted to capture all the great moments throughout the day. It started with just a few shots of Julia as she completed getting ready for the day and then a few “GQ” shots of Natan who was looking sharp in his suit and green tie. We went outside for the “first look” that was captured under a huge brick archway followed by some really fun photos of them wearing sunglasses. There were so many great locations for photography around the hotel. The images of Julia and Natan having a quiet moment together turned out beautiful. The room for the ceremony had uplighting and I was positioned to capture their wedding vows and the traditional “breaking of the glass”. The majority of the family photos were taken prior to the ceremony so everyone could enjoy the cocktail hour. The reception was “high energy” with lots of great music and dancing. The guests had a blast. At one point, Natan was up in the air even before the hora! I like to capture candid images of the entire event always keeping in mind how the images will look in black and white as well as with other image enhancements in the final wedding album. Detail photographs of the day are equally important and add variety and versatility to the final layout.